A note from Holly: When I made it into the Nail Talk Radio chat room a couple weeks ago, one of the major requests was help for the business side of nails. One of my favorite places for business info is The Nail Hub. Creator, Elizabeth Morris, has interviewed me for a podcast and impressed me with her knowledge, skills, and creativity. To help all of you, I’ve asked Elizabeth to write a series of guest blogs focusing on the business side of nails. Enjoy! Almost every nail tech I know has a social media account. Whether it’s Facebook, Instagram, Tumblr, or Pinterest, I’m sure you already have tons of pictures posted. But are you really gleaning new clients from your social media? No, you say? Not as much as you would like? Anyone who’s potentially interested in getting their nails done by you doesn’t care about what you ate for dinner last night. They also don’t want to see pictures of your outfits, kids, S.O., pets or any other wonderful personal things you’ve been posting lately. What are they interested in? The nails you do! Clients use social media to investigate the products and services of businesses before they commit to purchasing. This means that they want to see what your business provides, not what you do in your free time. So if you don’t already have a business only account, make one. You need to start thinking of your social media as an online portfolio and less of a random collage of your daily life. Do your social media pics look like this? It’s ok so do a lot of other people’s. The nails pictured are not bad by any means, but the picture makes them look worse than they probably are in person. The picture is dark, far away, and you can't see any detail of the color or the art. This picture is not doing these nails any favors, and all things being considered this is not a bad set! Remember that old adage, “A picture is worth a 1,000 words?” Are you really doing the best job you could be with your photography skills? Stop trying to hide imperfections through cuticle oil, filters, stickers, lens flares, dark lighting, or distance. We ALL have imperfections in our work but trying to hide them makes them more obvious. You also don't want to misrepresent your work because clients who do visit are going to end up leaving disappointed which is worse than if they never came at all. Also beware of over watermarking your pics. Giant words that cross in front of the nails/hands are distracting and detracting. And hand position is important! That dreaded "octopus" pose does not look good and does nothing to highlight the hard work you have done. Experiment with different hand positions and play around with it on your down time to perfect your lighting and focus. Taking great pictures is just like doing great nails, it takes practice. If you make just small improvements each time you take a photo of your work, your following will definitely notice, and new followers will too. People want to see what you actually do, and if they can’t get comfortable with that through the photos you post, then they’re not going to try you out. Want to know the secret to getting 100,000 followers in seven days? If your brain just screamed “yes!” then you need to revamp your thinking. Having 100,000 followers from all over the world isn’t going to help you get new clients. Not even 1% of those people would ever be able to come to your salon, and even if they did they aren’t going to be repeat clients that book every two weeks. So why are you so worried about the volume of your following when you should be worried about the quality? You need to rethink your strategy. Use hashtags that are specific to your local community (i.e. #Baltimore #BaltimoreNails #NailSalonBaltimore, etc.). 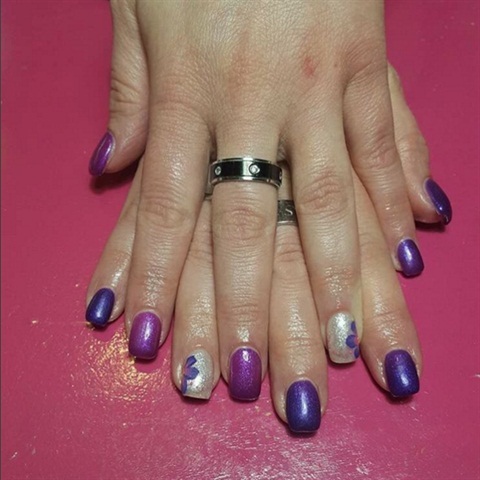 Using generic hashtags like #nails, #nailart, and #nailartwow isn’t going to get you local clients. Plus, you’re competing against millions of other posters who are posting pictures under those same generic hashtags. Your picture will get buried in a list and will never be seen by anyone. So keep it relevant and specific and you’ll get a more strategic following. And do not use the same hashtags under every picture. Switch it up a bit so your pictures get seen under different hashtags. Post regularly. To really improve your exposure you should be posting at least one picture every two to three hours. “But I’m busy!” I get it but with practice it shouldn’t take you more than 60 seconds to post a pic of your client’s nails before they leave. Ideally you should be posting an Instagram picture after every client. Don’t think you can do that? Save the pics on your phone and use an app like HootSuite.com or HopperHQ.com to schedule and auto-post your pictures for you. Check out what other local business are using for hashtags. You can even reach out to them to collaborate on social media promotions. Working with your local community will help you gain more exposure and attract more local clients. By implementing these tips you’ll be on your way to a social media account that will actually have the potential to get you new clientele. Maintaining social media takes time and energy, so make sure your time isn’t being wasted. Generic followings, generic hashtags, and pics of your food aren’t getting you anywhere. If you’re going to spend the time to create your online portfolio(s), which in this day and age is an absolute necessity, then make sure your time is being well spent. As a nail educator, small business owner, and consultant, I am dedicated to providing the highest quality information and advice that’s specific to our industry. Join the thousands of other nail techs who have used my info to improve their businesses by subscribing to my email list. I also have an exclusive Facebook group that’s dedicated to business information for nail techs and salon owners. Request to join click here.